A study released today says 48% of gay men would sacrifice a year or more of their lives in exchange for a perfect body. The research also said 10% of gay men would agree to die more than 11 years earlier if they could have their ideal body now. Nine in ten gay men admit they enforce “unrealistic” images of lean and muscular men in conversation. 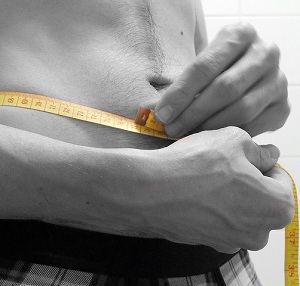 In comparison, only a third of straight men said they would give a year or more for an ideal body shape, and 77% admitted buying into the body image ideal. The research was part of a study commissioned by Central YMCA, the Succeed Foundation and the Centre for Appearance Research at UWE Bristol into how men talk about their bodies. Gay respondents were consistently more affected by body concerns and more likely to make body comparisons than straight men. They were also significantly more likely to use what the study authors called “body talk”: speech that implicitly or explicitly reinforces or endorses the traditional western standard of male attractiveness: tall, lean, muscular, toned body with clear skin and a full head of hair. 91.2% of gays said they make statements which reinforce this image, compared with the 77.4% of straight men. Nearly twice as many gay men as straight, 59% to 32%, said they compare themselves to better-looking men. A third of gay men said they compared themselves with men they thought were less attractive, compared with 20% of straight men. Rosi Prescott, CEO of Central YMCA, told PinkNews.co.uk: “This research shows that body image anxiety is sadly much more of an issue for gay men. “Today gay men are under enormous pressure about their bodies, and we believe that a lack of body diversity in the media, including the gay press, and a relentless focus which values people based on appearance, may in part explain why gay men are particularly susceptible to this issue. Straight men came out narrowly ahead of gays when rating how they important they thought their body was to their partner. 51.4% of straight men said what their partner thought of their shape and weight was “very or extremely important” to them, compared with 49.4% of men. But only 20% of straight men said their friends’ opinions were that important, versus 35% of gay men. The YMCA’s Body Confidence campaign aims to promote positive body images in schools, at Parliament and through research. 394 men were questioned for the study in November and December 2011.